The creation of socially mediated narratives contextualized by geographic location, games that interact with the physical environment. 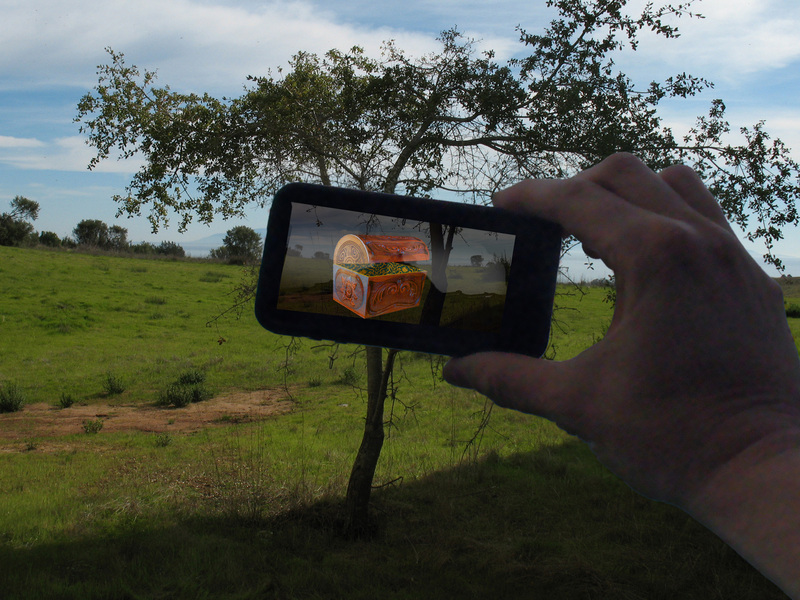 Palimpsest: Augmented Reality Theater is an open-source augmented-reality browser capable of layering media over specific landscapes viewed through the iPhone. By employing a simple, yet powerful, scripting engine, the browser enables the creation of socially mediated narratives contextualized by geographic location, games that interact with the physical environment, and artistic performances and installations that are virtually attached to a real-world physical space. A participant may choose from one of several experiences and narratives, and may navigate and interact with virtual objects such as images, 3D models, and sounds which are located at physical GPS coordinates. Special thanks to leaf tine for his assistance.